After a history of more than 100 years, the African Nova Scotian community of Africville, located on the northern shore of Halifax Harbour was destroyed to make way for industrial development in the 1960s. In 2010, the people of Africville finally received an apology for the heartbreak and loss of their community. Now, a replica of the Church that was the heart of the community celebrates the spirit and tells the story of survival of a community. In February, 2010, Halifax Mayor Peter Kelly made history by apologizing to the people of Africville for the destruction of their community nearly 40 years before. 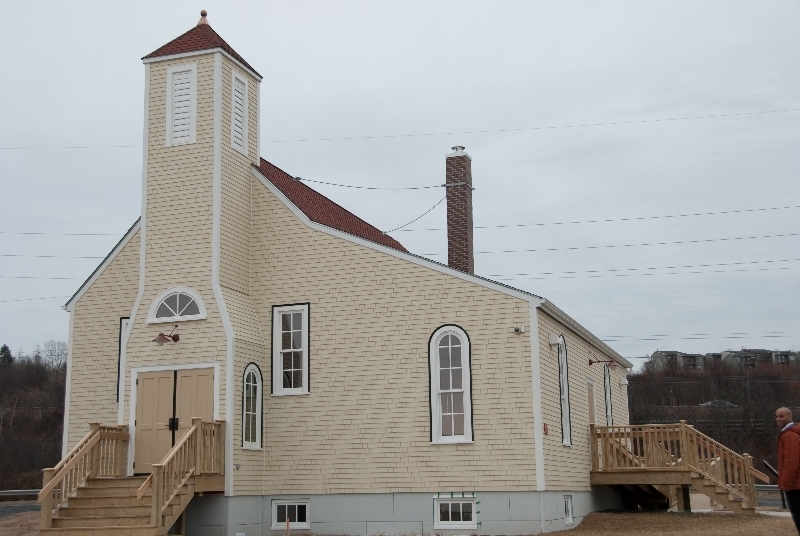 The apology was supported by the allocation of land and $3 million for the construction of a replica of the church that had stood at the geographic and emotional heart of Africville. Today, the Africville Museum looks across the land where the people of Africville lived, worked, and raised their families by the water of Bedford Basin. Inside the Museum, exhibits tell the story of a community that met the indignities of racism with grace and faith. Over the years, public facilities that no one else wanted were established in or near Africville: an abattoir, a prison, an infectious diseases hospital, a dump, encroaching rail and industrialization. The community lost its school, its post office, its shops. 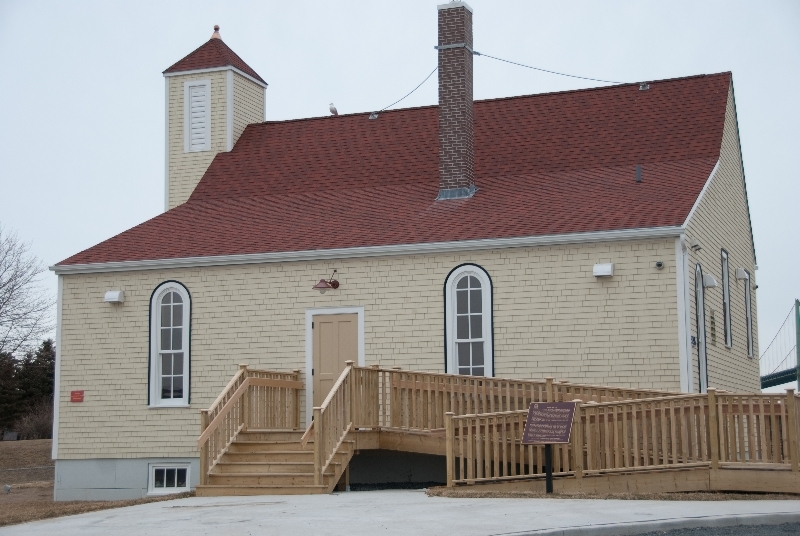 The exhibits within the Africville Museum invite visitors to walk through the history of Africville, from thriving village on the banks of the Bedford Basin to the dislocation. It tells of the efforts of the community to maintain the bonds and to gain recognition of the injustice. The final indignity, the destruction of the houses and even the Church, and the relocation of the people of Africville should have been the end of the community. But the spirit of Africville lived on in her people. The people who had been forced from their community shared the stories of “out home” with their children. Part of the land of Africville was used for a new bridge across Halifax Harbour. Some of it became part of a new container pier. And, eventually, some of the property became a seaside park. In 1972, four elders from the Seaview United Baptist Church (sister Laura Howe, sister Elsie Desmond, sister Aletha Mantley and sister Emma Steed), together with Rev. J.C. Mack of Cornwallis Street Baptist Church and his deacons, organized the first gathering of the community since relocation, through a church service and picnic to follow. In 1982, three women, Deborah Dixon, Linda Mantley and Brenda Steed-Ross came together to form the African Genealogy Society (AGS) and the following year, they planned another community gathering known as the “Africville Reunion”, which still remains an annual event in the park each July. This was the beginning of a new chapter in the history of Africville. Community members worked with writers, film makers, and artists to share their story with a larger audience. An exhibit telling the story of Africville was created, and toured across Canada. On behalf of the people who had been moved from Africville, the AGS initiated legal action for recompense for their loss. They attained a United Nations decision supporting their claim. For more than 25 years, the people of Africville worked to achieve a settlement. 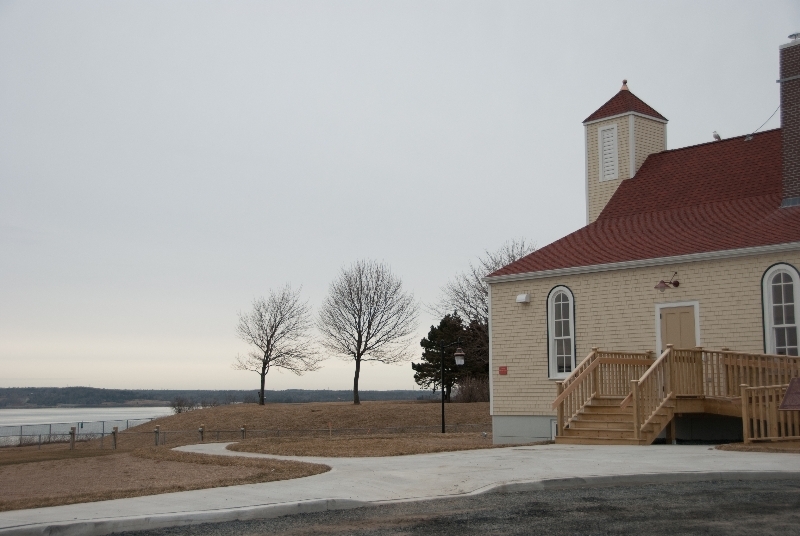 Finally, with the official apology and the construction of the Church, they began yet another chapter in the history of Africville. The Museum is the first stage of the Africville Project, which will later include an Interpretive Centre. The story of Africville continues. It is the story of faith, and of the strength of community, family and home. And it is universal.